Organization development refers to an effort which is deliberately planned and is primarily designed to enhance the viability and relevance of a business organization. It also refers to the future readiness of an organization when it comes to meeting changes so it is no longer surprising why a lot of experts describe it as a more systematic learning and development strategy which is primarily designed to make some changes in the most basic beliefs, values, structure and attitudes of an organization in order for it to more effectively absorb and deal with disruptive technologies, market opportunities explosion and shrinking and the most common business challenges and chaos. It can also be defined as a framework which ultimately oversees change which is designed to produce the most desirable impact to the entire business organization and its stakeholders. The successful and effective implementation of the organization development framework or process works in designing interventions with applications for a lot of multidisciplinary methods, strategies and research aside from the traditional approaches. If you want to successfully implement organization development process, then you have to keep in mind that it follows essential values including providing numerous and profitable opportunities for people in order for them to effectively perform their functions as human beings not as resources for the successful implementation of a productive process, offering opportunities for all members of the organization so they can realize their full potential, improving the organization’s effectiveness when it comes to achieving its goals and attempting to establish a more exciting, challenging and enjoyable environment. The organization development certification program which you can now access at Brainmeasures is the most ideal online certification course for you if you have longed to become a real expert in implementing the organization development process or framework. This organization development course from Brainmeasures aims to strengthen the background of those who aspire to master everything about the organization development process. It allows you to undergo a kind of organization development training which is guaranteed to hone your skills and strengthen your knowledge about the major concepts used for the process, its core values and principles, its functions and benefits, how to take full advantage of the process to better understand different organizations and the different organization development techniques and strategies that you can use to improve the performance of your organization. 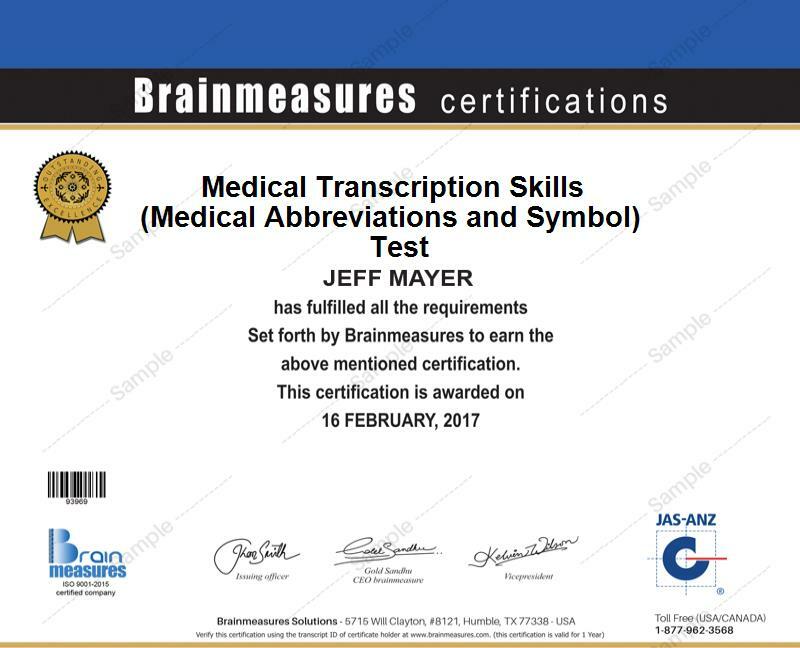 Receiving your organization development certificate from Brainmeasures is extremely rewarding because of its effectiveness in showing to the entire industry how skillful and knowledgeable you are in implementing the process. How to diagnose problems and effectively implement intervention strategies? Brainmeasures organization development certification program has received extreme popularity at present because of its effectiveness in benefiting numerous professionals and individuals. This certification course is primarily designed for internal and external organization development consultants, human resource professionals, executives, line managers, leaders, quality and process improvement professionals, managers, directors and any other existing and aspiring organization development, human resource and training professionals who wish to acquire more knowledge about the whole organization development framework and use it to improve the performance of your organization and drive more positive results. Aside from the sudden increase in your career prospects, your organization development certification can also make significant changes in your salary. If you use your organization development certification to get the position of an organization development specialist, then expect to earn an annual salary within the usual range of $54,000 to $103,000. If you work as an organization development consultant, then you can expect to earn as much as $187,000 per year.